If you reside anywhere in the Western world, the probability that you will need a paving contractor at some time is quite high. This is simply because paving concrete has become an important measure of modernity. People are doing it every day, and you have no option but to keep up with the trends. The market however has been jammed by thousands of paving contractors. Within your locality, you will be surprised to find out that there are hundreds of them, and they all claim to offer the best services in town. This is nothing to celebrate. Having many contractors means that there are a handful of them who don’t offer legit services, and their mission is to mint millions of dollars from unsuspecting clients like yourself. How, then, do you choose the best paving contractor? By asking the following questions, you can go a long way in getting an A-class paver for the best services. A new paving contractor can be a disaster. However, if the company has been around for a while, it simply means that they have the knowledge, skills, experience, and equipment to work on the project of your choice. It also means that they have a solid history and have gained tremendous reputation throughout the years. When you sit to discuss your project, make sure you ask about their history. Ask about the number of years they have worked in projects similar to yours, and request to see their portfolio. By doing this, you will always ensure you get the best company that will offer you with your desired satisfaction for your project. What are the most essential elements for my project? 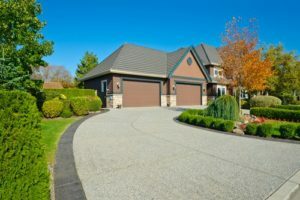 The paving process is at times complicated, hence getting to know the most important elements that is something you should not turn a blind eye on. Since the contractor is the expert, ask what you will need so that you can create a budget that will not prove disappointing at the middle of the project. Discuss the requirements in length, and make sure you record all the details. After you have exhausted the most important and those that are at the top of the priority list, you can then discuss other minor elements that might be crucial but not as important. You clearly do not want a paving contractor who will spend a lifetime in your compound, right? Ask the contractor how long it will take for the project to complete. Sign a contract based on timelines, and get an assurance that all the deadlines will be met. There are a myriad of things to consider before choosing a paving contractor. However, the above questions will save you a great deal when choosing a contractor for your upcoming project. There are many projects that can be facilitated using precast concrete molds. Use them to create steps or balustrades for a building. Create accent pieces like birdbaths or sculptures and anything else you can think of. Using molds made from materials poured right on site makes it easy to create those pieces for immediate use. You can even make multiple castings without delay. Here are the steps to making precast concrete molds. The first step is to seal any holes in the items you are using as casting molds. You might use caulking or any other sealing agent. Let it dry and add a second application. Let the agent go over the bucket or container you use to form the mold. Latex or rubber is ideal and often used because it is resistant to abrasion and tears. You will create your mold’s pattern by placing objects in the bucket. Be sure to leave a gap between each object in your mold. Overlapping gaps lead to weakened areas of the mold which could make it tear. After you have arranged your objects you will pour the rubber or latex over the top of them. Let the rubber or latex dry completely. The ideal solutions for the casting are found at specialty mold rubber manufacturers. A mixable form makes it even easier to cast your mold. Pour enough of this mixture over the objects to cover them, too, but do not cover them completely. Let the rubber or latex dry thoroughly. This step should take just one day. Once the rubber has dried you can remove your mold right out of the bucket or container. You will know that it is completely dry if it slides right out. There are some molds that require the help of a razor blade or a utility knife to cut the mold free. There will be some overlap on your mold. Trim it away. The last step to creating the precast mold is spraying it with a concrete releasing agent. Pour the cement over the mold and let it dry. Your objects will be ready for use, and the mold will be ready for another casting right away. These molds last for a long time and handle many castings which allows you to save time, effort and money. You can make any precast concrete mold you choose right on site so be imaginative. We are the Concrete Precast Specialists! We provide concrete for all your needs and are perfectionists when it comes to getting your finishes done. Please dont hesitate to leave your comments and features in this thread.